Looking for a moment of peace amidst all the sightseeing? This is it! Batumi’s only mosque, sure is one gorgeous mosque. This is the ultimate place where Muslim tourists can perform their daily prayers. Its compact size will disguise to think of it as just another mosque, until you enter it. Dating back whoppingly to the 18th century this gem of Batumi, is a prodigy in every way! The mosque is surrounded by halal shops too. Its location next to the Argo Cable Car makes it perfect for an evening prayer before you venture the entertainment center atop the Anuria Mountain. Even if you are around the mosque during prayer times the call for prayer renders that much-needed moment of solace, amidst all the city frenzy. The colorful walls with hand carved wooden interiors of the mosque, house a considerate number of Cemaat, who speak in Turkish. A one-of-its-kind attraction in a Catholic state! 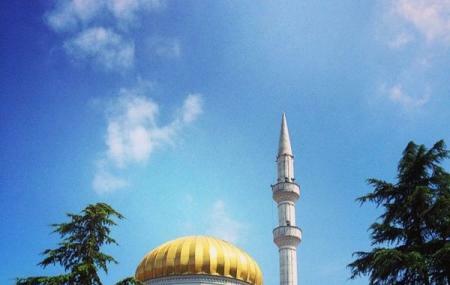 How popular is Mosque Batumi? People normally club together Holy Mother Virgin Nativity Cathedral and Batumi Boulevard while planning their visit to Mosque Batumi. This ancient beautiful mosque is graceful and loved praying a couple of times. I would have given 5 stars if the toilets were clean and maintained. Also a stubborn old man sitting at the entrance of toilets demanded one GEL for visit, which I think is un authorized. Place for Muslim male and female to pray in batumi city center... it is also interesting historical building to visit. The Imam sound is amazing. You want to stay as long as you can. Perfect mosque. The only masjid that i found in Batumi.